If you’ve surfed the Internet lately for popular food trends, you’ve probably come across people raving about Trader Joe’s frozen cauliflower gnocchi. The product has the texture of those pillowy potato dumplings, but it’s been upgraded—this version has more vegetables and no gluten. Cooks (including myself) love it because you can satisfy your carb cravings without the wheat, all while sneaking in an extra serving of veggies. If you’re a DIY person, then get ready to rejoice, because I’m about to show you how to make a homemade version that tastes almost exactly like Trader Joe’s! Gnocchi is an indulgent Italian dumpling traditionally made with flaky baked russet potatoes, flour, and eggs. The tender, melt-in-your-mouth texture is often tossed in a savory tomato sauce or creamy béchamel. A gluten-free homemade option that matches the original eating experience has been lacking, until now! This copycat recipe takes simple ingredients like cauliflower florets, potato starch, cassava flour, and olive oil to recreate the taste and texture of the beloved TJ’s product. The ingredients also make it friendly for those on a gluten-free, paleo, or Whole30 diet. How does cauliflower gnocchi taste? As you might have guessed, the gnocchi has a light cauliflower taste, which is stronger when simply boiled and eaten. However, searing the gnocchi after boiling transforms the flavor. Due to the light browning on the surface, a new nutty flavor is created that mellows out the cauliflower taste. This is great if you are not planning on coating the cauliflower gnocchi in a sauce. I highly recommend browning the gnocchi in olive oil because it creates a texture contrast. Your teeth break through a crusty outer layer, then the soft and chewy centers dissolve with each bite. I found that the store-bought product has a slightly gooey and soft consistency which doesn’t really hold its shape once it’s cooked. Instead of flattened blobs, this copycat gnocchi recipe holds its cylindrical appearance better for a prettier pasta. Potato starch and arrowroot powder help to bind the cauliflower puree together. This allows the gnocchi to be mixed, shaped, cut, and cooked. 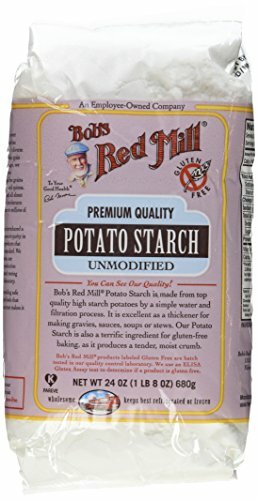 I use Bob’s Red Mill potato starch and Otto’s Naturals cassava flour, the latter of which happens to be paleo certified. If you’ve never used cassava flour before, it’s made from the whole yuca (cassava) root, which is ground to make a grain-free and gluten-free flour. It’s used as a 1:1 replacement for wheat flour in this recipe (and a lot of other wheat recipes). It’s more expensive compared to other starches and harder to find in regular grocery stores, but I was able to easily source it online from Amazon or Whole Foods. Adding in a little olive oil to the dough keeps the gnocchi tender instead of rubbery. The oil coats some of the starches, preventing them from binding together too tightly once cooked. Sea salt seasons the gnocchi. I also tested a budget-friendly version using potato starch and arrowroot starch/flour from Bob’s Red Mill. 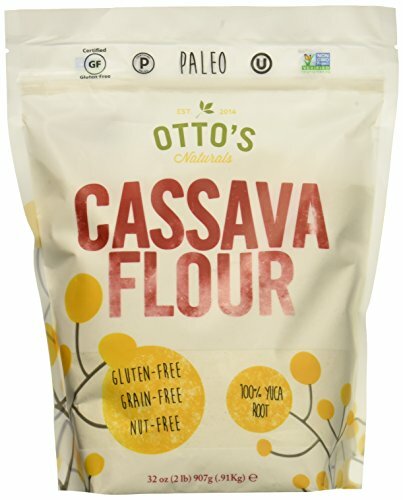 Use this substitute if you have trouble finding (or affording) cassava flour. Simply substitute the cassava flour with 1/4 cup arrowroot powder and increase the amount of potato starch to 1/2 cup. The texture is a little chewier due to the higher amount of starch and may stick together more when pan frying. However, it’s a tasty alternative. The first step is to steam the cauliflower florets. Then, you need to remove as much moisture as possible by squeezing the florets in a cheesecloth. Squeezing out the moisture now will help the dumplings hold their shape better during cooking. It also avoids needing to add more starch to absorb the excess liquid, which would make the gnocchi too gummy and chewy. Next, puree the cauliflower with olive oil and salt in a food processor. Mix the puree with the potato and cassava flour, and lightly kneaded until just incorporated. The sticky starches make it easy to roll, cut, and shape the gnocchi into tiny tubes. I like to add some design and texture to my gnocchi, so I used a gnocchi board that I bought in Italy over a decade ago. I’m happy to finally put it to good use! But you can just as easily use the back of a fork or leave your gnocchi plain. Finally, boil the dumplings to ensure they are cooked through—they’ll start to float on the surface of the water after about three minutes. If you want to take the taste to the next level, toss them in a hot pan with some olive oil and let them get golden and crisp. Once cooked, the gnocchi can be kept for 5 days in an airtight container. Reheat in a microwave-safe dish or in an oiled sauté pan until warmed through. You can also freeze the uncooked dumplings for later use. Just spread them in a single layer on a parchment paper-lined sheet pan, freeze until hardened, then pack into a resealable plastic bag for storage. Frozen gnocchi is good for about a month. You do not need to defrost it: just boil and you’re ready to grub! Here are some ideas for turning your cauliflower gnocchi into a meal! Make this recipe for Gnocchi with Creamy Sun-Dried Tomato Sauce! Swap out the noodles in minestrone or Pasta e Fagioli with boiled gnocchi. Instead of elbows, make a gnocchi macaroni and cheese or make it into a hot and bubbly cheesy casserole with breadcrumbs on top. Toss the gnocchi in a simple marinara sauce, a creamy sun-dried tomato sauce, with pesto, or some olive oil, lemon juice, and fresh herbs. Go gourmet and make a browned butter and sage-infused gnocchi. Are you getting hungry yet? I know my mouth is watering! You can double this recipe! When making the cauliflower, be sure you squeeze out the water; you should get about 2 1/2 cups of squeezed cauliflower to turn into gnocchi. 1 Steam the cauliflower: Fill a medium pot with 2 inches of water. Place a steamer basket into the pot, cover, and bring water to a simmer over high heat. Add the cauliflower florets and steam until fork tender, 10 to 13 minutes. 2 Squeeze the cauliflower: Cool the steamed cauliflower slightly and transfer to a cheesecloth or kitchen towel. Squeeze out as much moisture as possible, about 3/4 cup of water. This should yield about 1 1/4 cup of squeezed cauliflower. 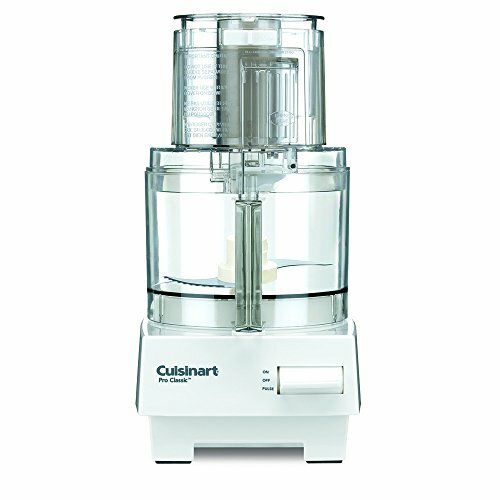 3 Puree the cauliflower: Add the cauliflower, sea salt, and 2 tablespoons olive oil to a food processor. Process on high speed until the puree feels smooth in between your fingers, scraping down the sides as needed, 30 seconds. Then pulse for another 5 seconds. 4 Make the dough: Whisk together potato starch and cassava flour in a medium-sized bowl. Add the pureed cauliflower and use a fork to mix the dough, just until the starches are combined. Lightly knead the dough until it comes together and can be rolled. Once combined, use your hands to gently knead the dough 3 or 4 times and then turn out onto cutting board. The dough will be smooth, soft and slightly tacky to the touch. Don't overwork. For a ribbed pattern, roll the gnocchi over the back of the tines of a fork or gnocchi board. 6 Boil the gnocchi: Bring lightly salted water to a boil in a medium pot. Carefully add the gnocchi and cook until they float to the surface, about 3 minutes. Use a slotted spoon to scoop out and drain the gnocchi, and then transfer to a lightly oiled sheet pan. Boiled gnocchi can be transferred directly to a soup or sauce. 7 Sauté the gnocchi (optional for crispy gnocchi): Heat a tablespoon of olive oil in a large nonstick sauté pan over medium heat. Cook the gnocchi in a single layer, keeping them from touching each other. Sauté until both sides are golden brown, 5 to 7 minutes. Repeat until all the gnocchi are cooked. 8 Serve: Transfer crispy gnocchi to a bowl and season with salt and pepper, and any other toppings such as Parmesan cheese and sage leaves. Hello! All photos and content are copyright protected. Please do not use our photos without prior written permission. If you wish to republish this recipe, please rewrite the recipe in your own unique words and link back to Cauliflower Gnocchi (Trader Joe’s Copycat!) on Simply Recipes. Thank you! Can I use tapioca flour in place of cassava flour? If you are using the Bob’s red mill tapioca flour it would be worth giving a try since the package states it can be used as a gluten free flour, however it maybe a little more chewy due to the starch content. I would love to hear your feedback if you use it as a substitute for cassava flour. Hi, Andrea! We don’t currently calculate nutritional information on our recipes. I’d recommend using an online nutritional calculator like this one. Thanks! This was my first attempt at making gnocchi and it was so good! It was fun to make and I loved the pillowy texture. Can’t wait to make again! Thanks for the great recipe! I have tapioca/manioc starch : do you think that would work? Hi Josie- You can use the tapioca or manioc starch (cassava starch) to replace the potato starch, but not the cassava flour. I so love TJ’s cauliflower gnocchi that as soon as I saw this recipe today I ran out to Whole Foods to buy some cassava flour and potato flour to make this (already had cauliflower). OMG, it is SO GOOD!!! It’s also not hard to make at all. It helps to have cheesecloth, but if you didn’t, a clean tea towel would probably do the trick to wring out the excess moisture. I wrung out about a cup of water from the cauliflower (I measured it.) The cauliflower cassava potato starch dough is a lot easier to roll out than regular potato gnocchi. Jessica you are right, the just boiled gnocchi still taste a bit like cauliflower, but once you sauté them? That disappears. I tossed mine with kale pesto. They’re absolutely delicious. I’m glad I froze half the batch before boiling, otherwise I would have eaten the entire batch in one go. Thank you so much Jessica for sharing this recipe with us! OMG. I love this. I’m not gluten-free, but this just sounds too tasty not to make. Maybe pan-fry them with some tomatoes, capers, olives, and garlic. YAS. Weekend plans made. Can you use regular corn starch? Hi, Joanna! If you can’t find cassava flour, we recommend using arrowroot starch (as mentioned in the headnotes). We don’t recommend swapping cornstarch for either of the flours/starches. Thanks!